Shuswap Lake Motel & Resort is situated on over two acres of lawn and treed countryside adjacent to the Trans Canada Highway in beautiful Sorrento, British Columbia. Our 2 acres of trees and lawns make a nice setting to relax. There is a picnic table and gas barbeque by each kitchen unit. There are 3 playgrounds on the property along with horseshoes, ping pong, badminton, volleyball, bocce ball, large tubes for jumping on and a trampoline. 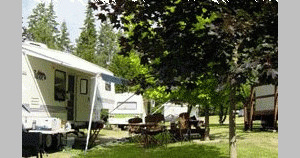 For campers, we offer large shaded sites, clean washrooms, free showers, playground and fire pits. We have level pull-thru spots for RV's with power and water hook-ups. A nice country setting! The safe playground consists of swings, sandbox, trikes, toys, giant tubes and lots of lawn area to run on and have fun. Parents can relax in comfortable lawn chairs in front of their cabins while they keep an eye on their children. Picnic tables are also in front of each cabin. 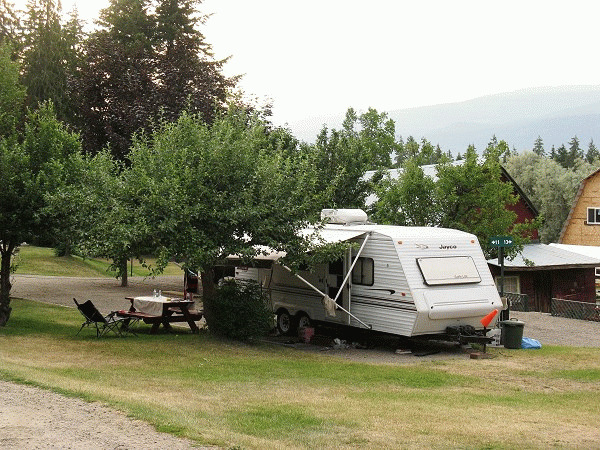 Please visit Shuswap Lake Motel & Resort - Camping Website.